One Piece Shanks vs Kaido - Did They Fight Before Marineford? One Piece Shanks vs Kaido – Did They Fight Before Marineford? Today we’re gonna theorize about what possibly happened in the Shanks vs Kaido skirmish before the Marineford war. We all know that when Kaido heard that Whitebeard was going to attack Marineford to rescue Ace, he wanted to go there as well and wreak havoc. 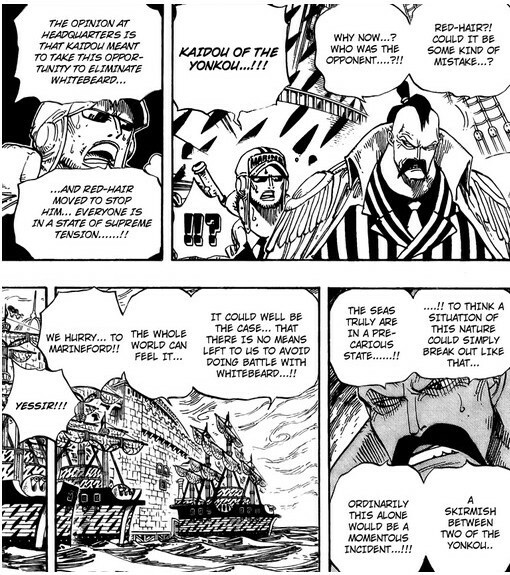 This would have resulted in an even more broad war, between the Whitebeards, Kaido’s crew and the World Government. The reason he wanted to do that is simple. It would have realized his goal of starting the greatest war the world has ever seen. Secondly, it would have given him the possibility to at last die, considering how many powerful characters were there. Lastly, it would have given him the chance to kill Whitebeard. That was either because he held a grudge against him, or just because he was an antagonist, a Yonkou. How did Shanks Convince Kaido? Whatever the case, the most interesting part of it all is that Shanks went out of his way to stop Kaido from going to Marineford. Why did Shanks want to stop Kaido? Simply because he wanted to avoid a war of that scale (he even wanted to stop Whitebeard from attacking Marineford, though he couldn’t do it). 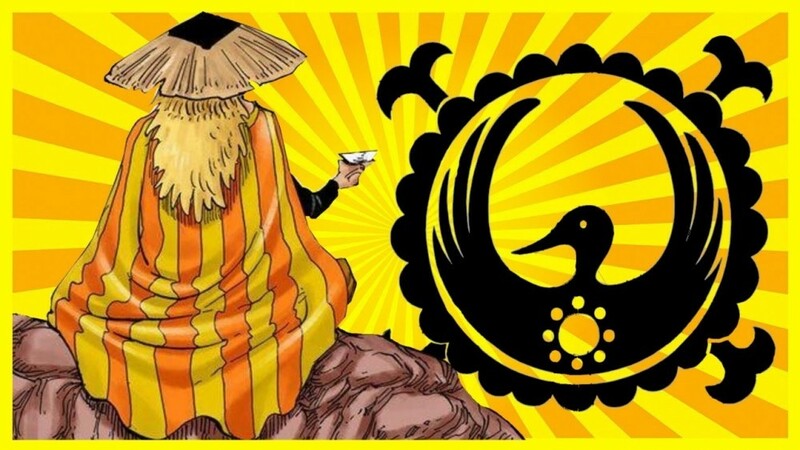 The Marineford War resulted in the loss of a Yonkou and it upset the balance, giving the chance to opportunists like Blackbeard to take a piece of the pie. Regardless of Shanks’s reason to not want Kaido at Marineford, the big mystery remains. How did he manage to convince him to not go at Marineford? There are some possible theories regarding that around, so let’s explore some of them. Some people believe this one and I think it’s absolute nonsense. Kaido is a total beast and there’s no way Shanks managed to defeat him then and there. Most important of all, it would have taken days for him to do that, even if he could. Shanks was at Marineford the next day after the skirmish between them! So, let’s move on to another popular scenario. The idea here goes something like this. Shanks didn’t pick a fight with Kaido but tried to reason with him by conversation. Much like what probably happened between him and old man Whitebeard. The man that Kaido is, he didn’t change his mind that easily. Thus, Shanks had to do something else. Up to this part, this theory holds true to my ears. The second part of it though, falls short, at least for me. The idea is that Shanks didn’t actually get to the part of clashing with Kaido. That’s because he made him an offer he couldn’t refuse (pun intended). But is it possible that a man like Kaido would be enticed to not follow his will by gaining some treasure? Not really. Kaido is a true warrior and a man who just values the thrills of battle and the adrenaline of him risking his life. So what really may have happened? What if he gave him some information to further his objectives? That seems more believable since even Kaido has goals and objectives he wants to pursue. For example, his obsession with the Zoan devil fruit army. We know that Kaido currently possesses one of the Road Poneglyphs. What if Shanks gave him a hint of where it was? Maybe gave him some information on Kozuki Oden? While this one seems plausible, considering the fact that Shanks was in Roger‘s crew and may have had information on that. However, I don’t really believe that because it doesn’t match up to Shanks’s personality. Would he ever give important information like that to someone like Kaido? Would he risk the life of a former crewmate simply as that? Highly unlikely. Didn’t we just debunk this one before? Well, not exactly. What I said was that Shanks didn’t defeat Kaido, not that he didn’t clash with him. What I really believe to have happened is that Kaido and Shanks faced each other in battle. However, the battle never came to an end. And the reason is simple. Remember when Ao Kiji and Akainu fought at Punk Hazard? Their fight lasted 10 whole days. What I mean is, how long do you believe a fight between two Yonkous would last? A lot more! That would have defeated the whole purpose of the battle since Kaido wouldn’t be able to be at Marineford on time. Thus, Shanks simply by standing in the way of Kaido was able to reach his purpose of stalling him. That would result in either him not reaching Marineford on time, or him backing out and stopping the meaningless fight. And that’s exactly what Kaido did. He understood that there was no point in losing his time against a man the caliber of Shanks and just decided to change his course. This one makes also sense if we remember the state of the Red Hair Pirates at Marineford. They were unscathed and ready for a fight with whoever was up to it (no one of course :P). That wouldn’t have been the case if they had just had a full battle with Kaido’s crew. Another bargaining chip in Shanks’s arsenal was the fact that he would also be at Marineford. If Shanks were to side with Whitebeard, that would have been a hugely disadvantageous position for Kaido to be in. A clash against two Yonkous? Not to mention the Marines and World Government that would obviously want him dead or captured as well. What I mean by that is, even if Shanks and Kaido didn’t clash, the fact that Shanks planned to be at Marineford and possibly shared his intentions with Kaido, was enough to make him not want to be there. Lastly, if you are interested in how the Red Haired Pirates reached Marineford so quickly, be sure to check my Benn Beckman theory. One Piece Shanks vs Kaido: Did they ever fight? The question remains. Has a Shanks vs Kaido fight happened? Most probably yes, but ended just because it would have taken too much time for both and would have defeated its purpose. Alternatively, it never really reached this point due to the fact that Shanks’s presence at Marineford convinced Kaido otherwise. Question of the Day: Do you believe a Shanks vs Kaido fight happened? If not, how do you think Shanks convinced Kaido not to attack Marineford? Share in the comments below. Also, be sure to share socially if you liked the theory! Wow. This is a really interesting, fun site. Thanks for an introduction to a brand new world of entertainment for me. There is so much out here in internet land! LOL! You can find information on all kinds of genres online that’s for sure! And anime is no exception! Hello! !This blog has great information that you share on this website. Thanks for sharing this with us. This post discusses the possibility that they fought before the Marineford war though. Do you mean if Shanks is strong enough to fight Kaido maybe?